Founded in 1982, Softtek is the largest information technology consulting firm in Latin America. It operates eight development centers, spread across Mexico, its country of origin, Brazil, Spain and China, from which it provides worldwide service. 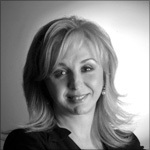 Blanca Treviño, president and chief executive of Softtek, is considered one of the most influential entrepreneurs in Latin America. Recently, she shared with Universia-Knowledge@Wharton her vision of the high technology sector and the challenges that it faces in the future. Her remarks touch on such issues as the retention of skilled professionals and the importance of “nearshore” consulting to penetrate mature markets like the United States and Europe. Universia-Knowledge@Wharton: Can you provide an assessment of the information technology sector in Mexico? Blanca Treviño: The service sector, which is where we are focused, has been growing in our domestic market at annual rate of above 16%, according to our Ministry of Economics. IDC, the consulting firm, forecasts that it will maintain an annual compound growth rate of above 10% until 2012. This makes it one of the fastest growing markets, behind only the BRIC countries (Brazil, Russia, India and China). Mexico has shaped itself in an ever deeper way as a provider of IT services for other locations, especially the United States, Canada and Spain. Nowadays, the service sector has annual exports of about $1.7 billion. Given this situation, this segment is growing at a very healthy rate and it is being propped up a great deal by its exports. This, along with the globalization process in Mexico, has attracted bigger and more mature players into the IT service sector. That process, in turn, will speed up the maturation process for the consumption of services in our domestic market. Currently, the Mexican market for outsourcing is mostly focused on staffing (personnel support), and we see that it is gradually maturing toward the consumption of higher-value-added services. It remains to be seen how this is going to be affected by the slowdown, if not recession, in the global economy. UK@W: What are the challenges that the sector will face in coming years? B.T. : The financial crisis definitely will bring major challenges for these as well as other sectors. Nevertheless, we also see an important opportunity for the country to increase the options for more mature models for outsourcing, which can provide ways for containing costs, increasing competitiveness, and accelerating the development of special qualities that we lack in this country. As for exports, it is important for the country to find a niche and model of differentiated value that is our own. In this sense, the Secretary of the Economy has promoted the adoption of very robust and advanced quality models such as the PSP/TSP of the Software Engineering Institute (an institution created during the 1980s for improving software engineering practices). This is an initiative in which several of our companies are involved. But there are also challenges from the legislative viewpoint that could slow down the growth of the IT services industry. There are legal initiatives that have a very legitimate and justified substance when it comes to protecting workers from the outsourcing sector, which could stop incentives on the part of the buyer [of services]. You can try to shift the fiscal and legal responsibility to buyers of services when it comes to obligations that the provider has to its collaborators. We have neither the experience nor the needed controls for stopping contractors from making decisions about contracting for outside services. We know that the value chain model with a strong component of outsourcing services is a very important element in the growth and maturation of the IT sector. UK@W: Do IT companies in Mexico face the same challenges when it comes to finding and retaining talent that European companies do? What countries are considered good sources of trained professionals in this sector, given current conditions? B.T. : Retaining talent is a challenge that confronts any company on a global level. Various factors have an impact. Among them, we can cite the globalization of services, which means that development opportunities may be in any part of the world. Another factor is the creative nature of IT professionals. The current climate presents an ever larger number of skilled innovators of technology. By definition, IT professionals always want to experiment with new technology or with new applications of leading tools. In that regard, the challenge for companies consists in offering robust opportunities for development, as well establishing a unique corporate culture that tends to the individual’s creative concerns. We believe that there is world-class talent in every country. Naturally, there are some places that, because of demographic or geopolitical factors or educational initiatives, are in a better position than others. We believe that Mexico, Brazil and Argentina offer the greatest potential in the region of Latin America. UK@W: What are the advantages and disadvantages of Mexico when it comes to setting up an IT firm? B.T. : With respect to advantages, we can cite the proximity of the United States, and the cultural affinity that exists not only with the U.S. but with Latin America and Spain. Mexico, as a member of the North American Free Trade Agreement (NAFTA), offers benefits that few countries offer with respect to immigration regulations; and its intellectual property regime is clear and robust. Among the advantages, we can also count collaborative programs sponsored by the federal government and some state governments that involve attracting investment capital and developing skills. One of the weaknesses may be the scale we can achieve. If you plan to set up teams of thousands of professionals in a short period of time, Mexico could present problems compared with India or China. But in our experience, once you understand the benefits that Mexico can provide because of its capacity for interacting with the United States and Spain, and you view [Mexico] as a component of your global model that is supported by your operations in other countries, then you see that the supply [of professionals] in Mexico is quite attractive. Perhaps the biggest problem is the availability of professionals who are fluent in English. We believe that this is a concern that the government and educational institutions must emphasize. We have a very strong program for developing knowledge of English among our professionals. UK@W: What is “nearshoring,” and what role can Latin American countries perform in that model? Does this approach contradict the positioning of certain emerging countries in South America as offshore destinations? B.T. : [Nearshoring] does not contradict the concept of offshore. They are mutually complementary models. In our case, we see that our skills in Spain, China and Brazil complement one another when implementing applications that have a global reach. In Spain, we tend to the nearshore needs of our clients in Europe. At this time, we use Mexico to provide services that do not require such a high level of interactivity with the European market. And Mexico, which is a nearshore destination for the United States, can also be complementary with China or Brazil. UK@W: Are the U.S. and Latin America prepared for competing against such leading regions as India when it comes to software development? B.T. : Yes, absolutely. We at Softtek, along with some other companies, compete directly with such players as India. In terms of quality, we are equally competitive. The challenge involves scale, which means that we need to make progress in terms of specialization. We believe that there are three factors that determine the capacity for development in the software sector. One is people and, as we said, talent is available in the region. The second factor has to do with the quality model of the company, and its skill at replicating and implementing that model on a large scale. The third component is the corporate culture, which determines the capacity to retain talent and introduce new products and services in the marketplace. UK@W: What are the medium- and long-term foundations of Softtek’s strategic plan? What have been its main goals when it comes to acquisitions and international expansion? As you contemplate issuing shares on the market, aren’t you afraid of a possible offer from a competitor who wants to acquire your company? B.T. : We are not afraid of a possible offer. If one comes, it is a sign that we are doing things well, and it will be evaluated objectively. Nevertheless, our strategy does not involve acquisition, and we have great and ambitious growth plans that we believe we can carry out. The option of raising capital in a public offering is one way to get the funding needed for turning those plans into reality. Nevertheless, given current market conditions, we don’t think that this can happen in the short term so we are waiting until conditions improve. Meanwhile, we are taking advantage of opportunities that present themselves, and we are choosing some of the means of capitalization that we have been studying. We believe that the biggest opportunities will be in our operations in Mexico, Brazil and China, both for [serving] local markets in those countries, as well as because these destinations can serve markets in the United States and Europe. UK@W: What kinds of services are most in demand by Mexican companies, as well as those in Latin America and the U.S.? Are the kinds of projects undertaken in Europe and America very different from each other? B.T. : When it comes to our portfolio of services, we see that the services that are most in demand in every market involve software applications. Especially relevant today is anything that has to do with cost-effectiveness. Maintaining and supporting application portfolios takes up 70% of the budgets of IT organizations. Our model is oriented toward reducing costs, and that’s where we see a great deal of demand and new potential. In this sense, every market has similar needs. We believe that the biggest difference lies in the model for acquiring services. In particular, markets in Latin America and Europe are very much accustomed to buying services based on unitary costs per worker/hour, while the United States is more mature, and [the market] is more positive about the value of managed services that are sustained in accordance with service levels. UK@W: Why did you decide to open a center in Spain? What expansion plans do you have in Europe? B.T. : Spain offers very favorable conditions for dealing with the European market. Its cultural affinity [with Mexico], the quality of its professionals, and governmental support programs as well as its educational infrastructure all make Spain an attractive place for the nearshore component in Europe. We believe that our center in Galicia can help us do a better job of penetrating the market in the U.S., while also enabling us to serve the Spanish market from a single ‘on-shore’ location within that country.